Trop completed! So refreshing to build in 1: 48th scale again. 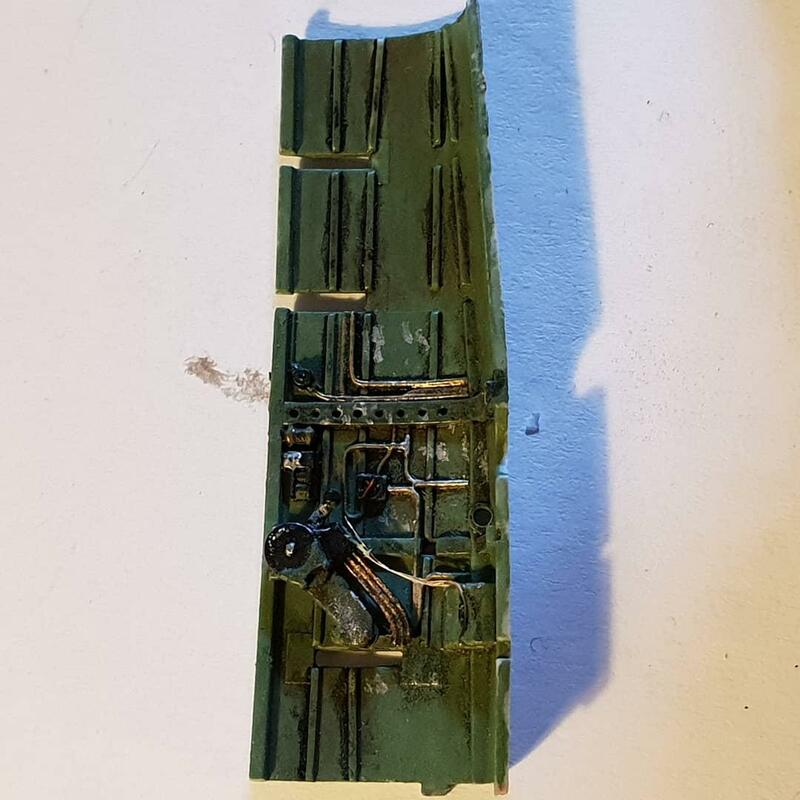 Scratchbuilt seatbelts made with masking tape. 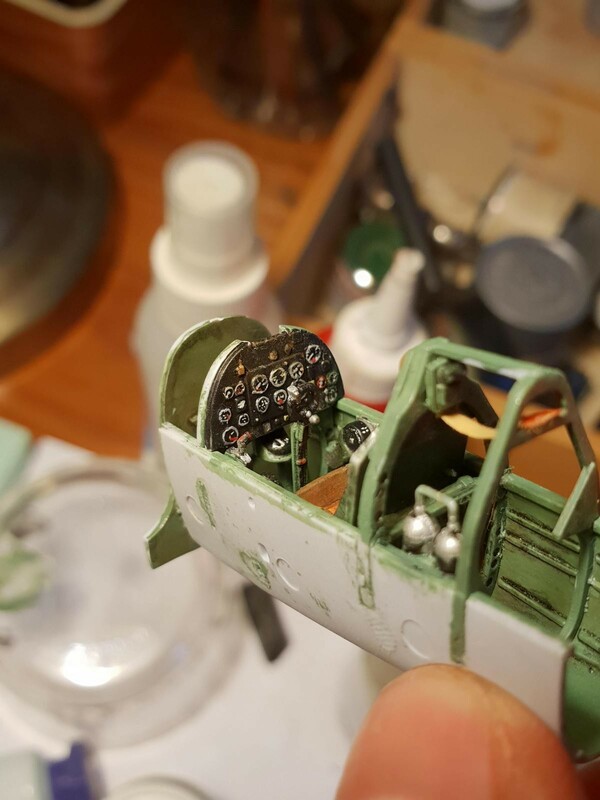 The decal for the instruments was fiddly so I painted them myself. Using oil paints and enamel washes for the first time was great! 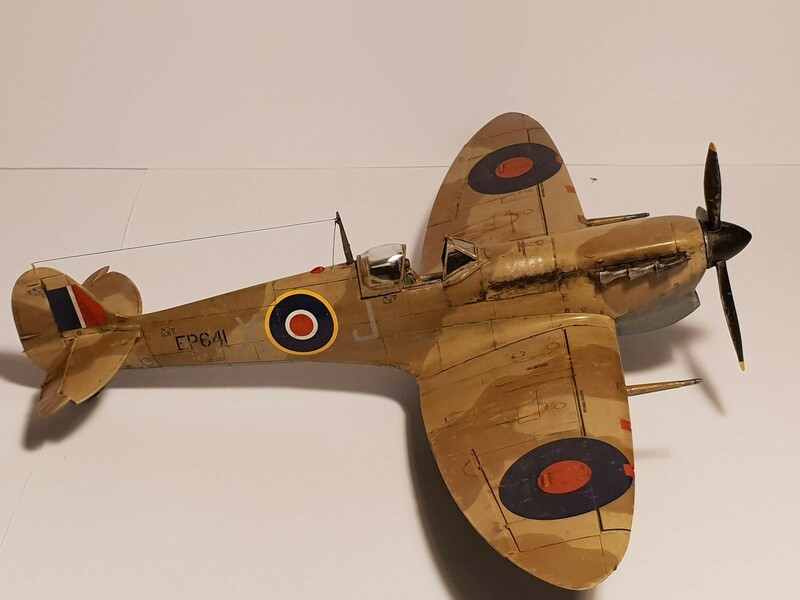 The kit fitted very well and the decals went down with no issues. It was brush painted with vallejo acrylics and humbrol enamels. Let me know what you think! 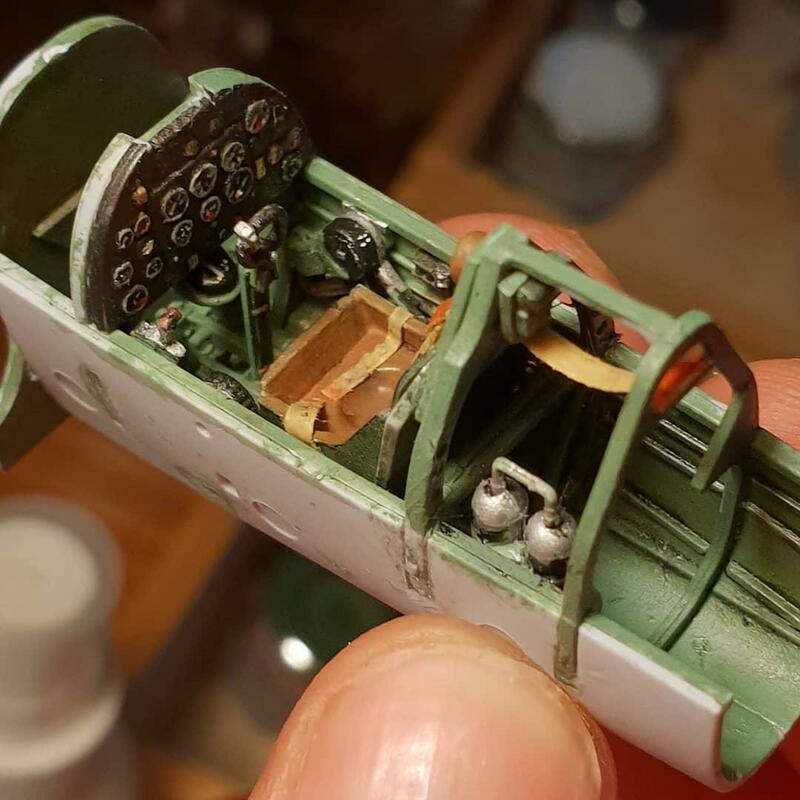 First WWII aircraft I have built in 1:48 scale and it will definitely not be my last. I enjoy the level of detail you can go into in this scale which you cannot reach when building in 1:72. Any critisism or thoughts on the build welcome! 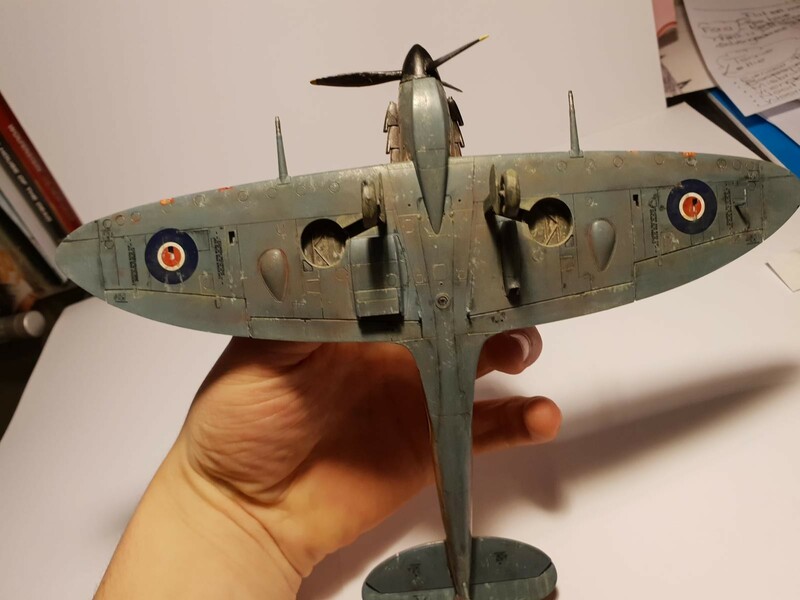 VERY nice Spitfire, Matthew! I like the way you did the cockpit. Those Spits with the big tropical scoop look a little odd to me. 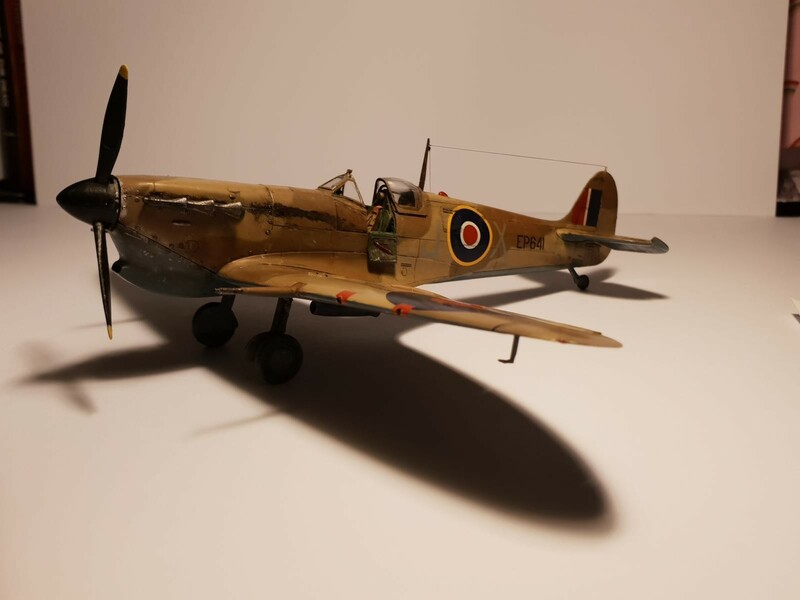 But that doesn’t detract from the Spitfire’s great looks. 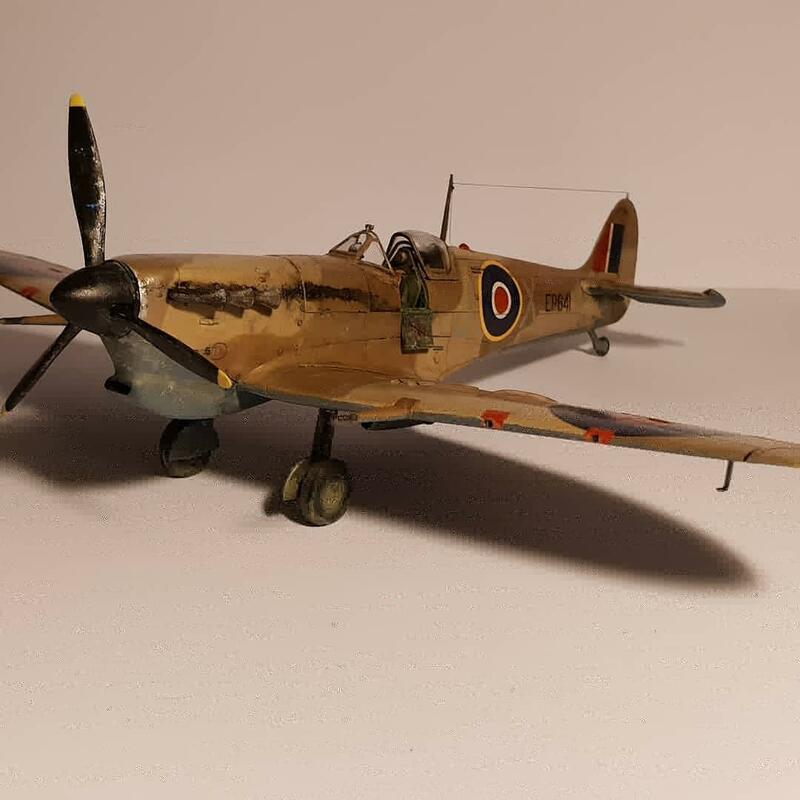 Really nice colours and cockpit detail, Matthew. 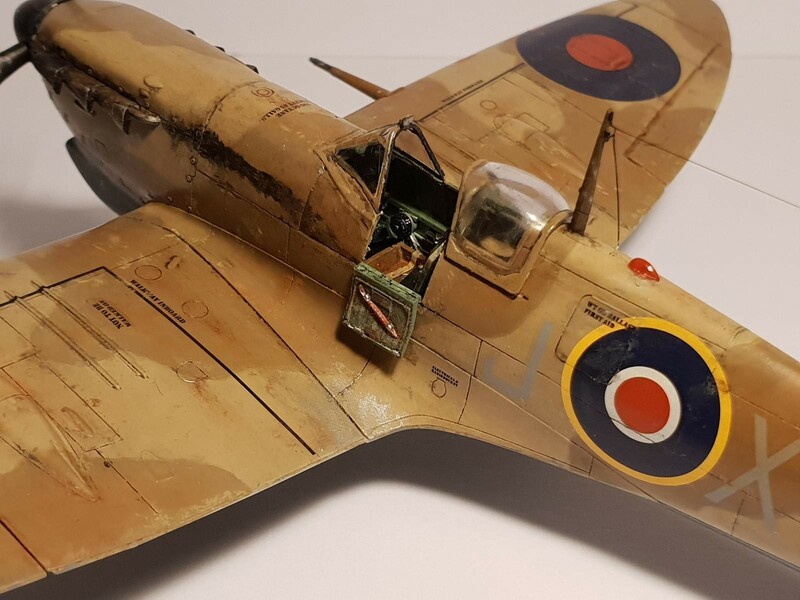 A really good result for your first WWII aircraft build. Good work, Matthew….I like it. A great-looking Spit! 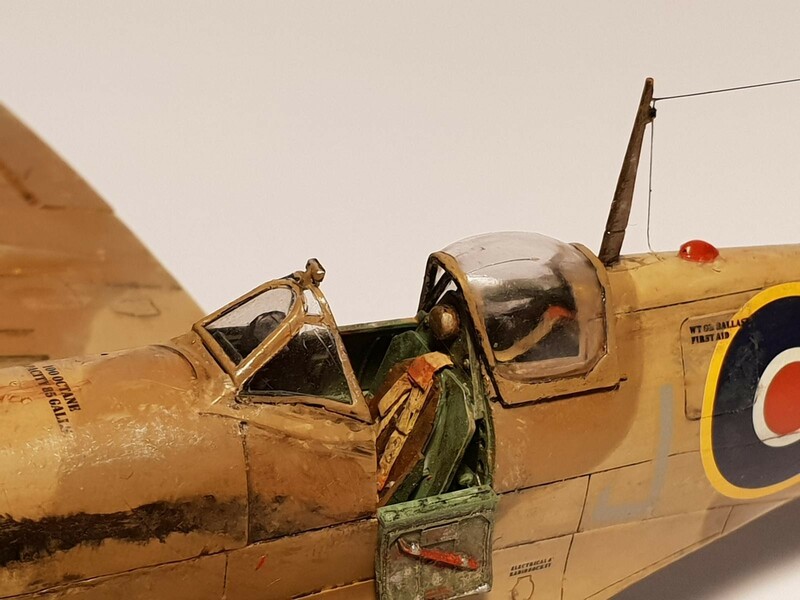 The more you work with the various weathering mediums the more refined a look you’ll achieve. 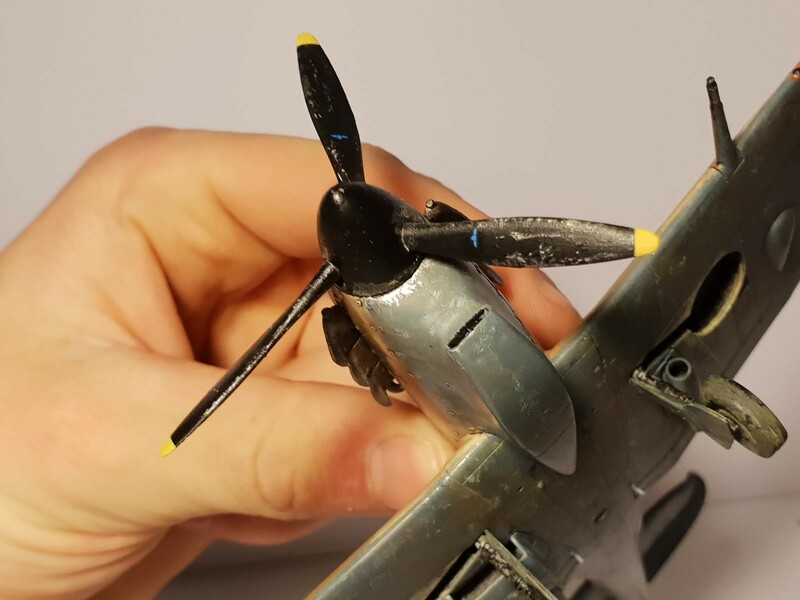 For the exhaust stains, using some chalk powders or Tamiya weathering masters will give you a more “feathered” look – I’d suggest that on your next go-round. Thank you. The exhaust stains were one area I was very unsure of how to tackle. Thank you for the advice, I shall use it in my future projects. Thank you for the suggestions! I will keep them in mind on my future builds.